So far, OnePlus has revealed the phone will have a fingerprint sensor and be powered by Qualcomm's Snapdragon 810. The company is using an upgraded version of the processor, v2.1, that isn't susceptible to the overheating issues that the first version reportedly suffered from, it said. 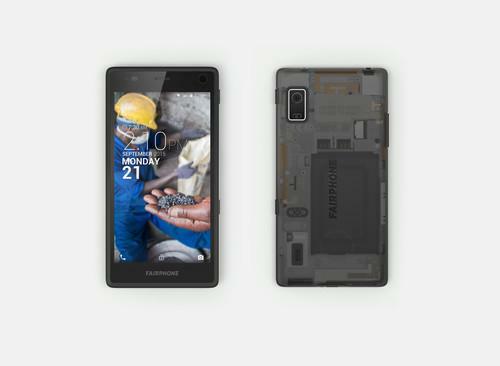 Just like OnePlus, Dutch company Fairphone has started to build some hype for its second product. The goal is to build a smartphone that won't easily break and can be easily repaired. A new Galaxy Note model arriving during the second half of the year has become a bit of a tradition. A launch at the IFA trade show in the beginning of September looks likely. With the fifth version Samsung needs to step up its game if it wants to compete more successfully with Apple's iPhone 6 Plus, the upgrade of which before the end of the year is also a forgone conclusion. Anticipated improvements include a new design that follows in the footsteps of the Galaxy S6. The Note 4 was with its metal frame and plastic back was a step in the right direction. But the metal frame and glass back on the S6 looks classier Another reported upgrade is a screen that's slightly larger than the Note 4's 5.7-inch display, with a 2K or 4K resolution. The G4 Pro is rumored to have some really impressive specs, including a 5.8-inch, 1440 by 2560 pixel screen, a 27-megapixel main camera, 4GB of RAM and Qualcomm's Snapdragon 820 processor. Most of the parts to build a phone with those specs are shouldn't cause LG much of a problem. The big question mark is whether the Snapdragon 820 will be ready for use in a smartphone before the end of the year. LG was the first to announce smartphones powered by the Snapdragon 808 and the 810, so the company is a likely candidate to be among the first to get its hands on the new model.